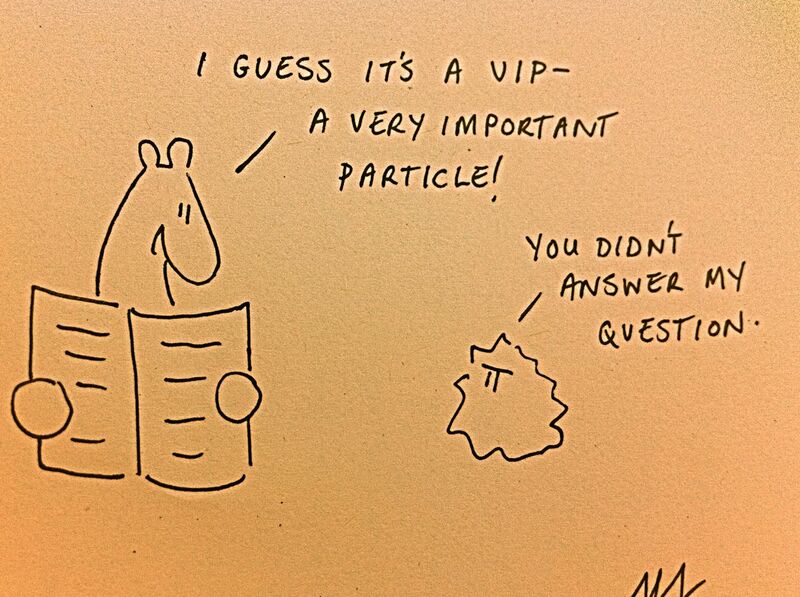 It’s been an electrifying week for particle physics, what with the seeming discovery of the Higgs boson, otherwise known as the “God particle”. The existence of this unassuming little sub-atomic particle was first conceived of in the 1970s, but only very recently have physicists found tangible evidence that it exists through the use of the gigantic CERN Large Hadron Collider. Now, there’s lots of information out there clarifying what the Higgs boson is all about, and why it matters, but suffice it to say (for this light-hearted post) that H-B and its mechanisms is believed responsible for conferring mass to all matter, which equates to all the mass in the universe. At 1052 to 1053 kg, that’s heavy stuff for a little boson! 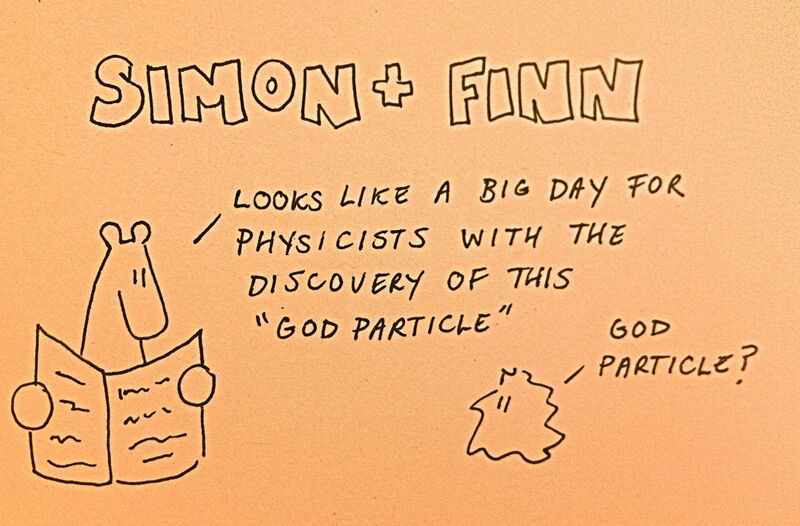 Also trending though, is the fact that the physicists announced the discovery of the God particle using Comic Sans font in their Powerpoint presentation, to the chagrin and ridicule of aesthetes the world over and causing a cosmic firestorm on Twitter (i.e. “few people know that the original set of tablets were smashed not because of the golden calf, but because they were in Comic Sans” @spiritofMoses). It’s a pretty quarky – yet funny – world when one of the biggest scientific discoveries in the last fifty years is vying with font type for attention. Sigh… if only Douglas Adams were still around, he would have had a field day with this one! P.S. 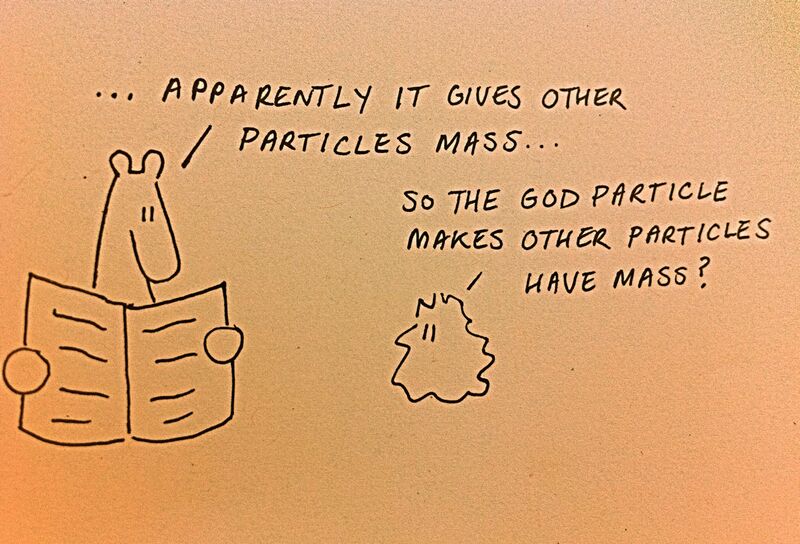 Why is Higgs boson called the God particle you ask? This title was apparently popularized by a book on particle physics: The God Particle: If the Universe Is the Answer, What Is the Question?. The author indicated he chose the name because “the publisher wouldn’t let us call it the Goddamn Particle, though that might be a more appropriate title, given its villainous nature and the expense it is causing”. 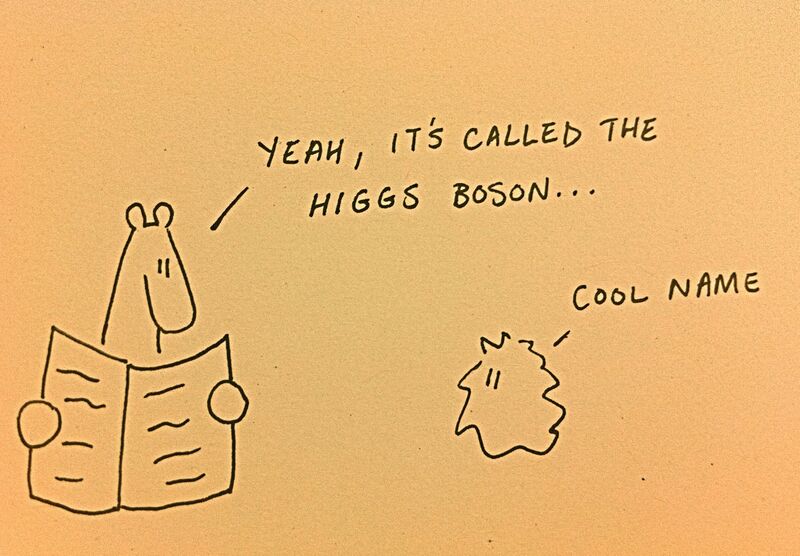 This entry was posted in Sciency stuff, Writing and tagged comic sans higgs boson, douglas adams, god particle, god particle joke, hadron joke, higgs boson, higgs boson comic, higgs boson joke, simon and finn, simon and finn cartoon by simonandfinn. Bookmark the permalink. Good work! Have you ever submitted your illustrations to Funny Times newspaper? Seems like a good fit. You can google it. 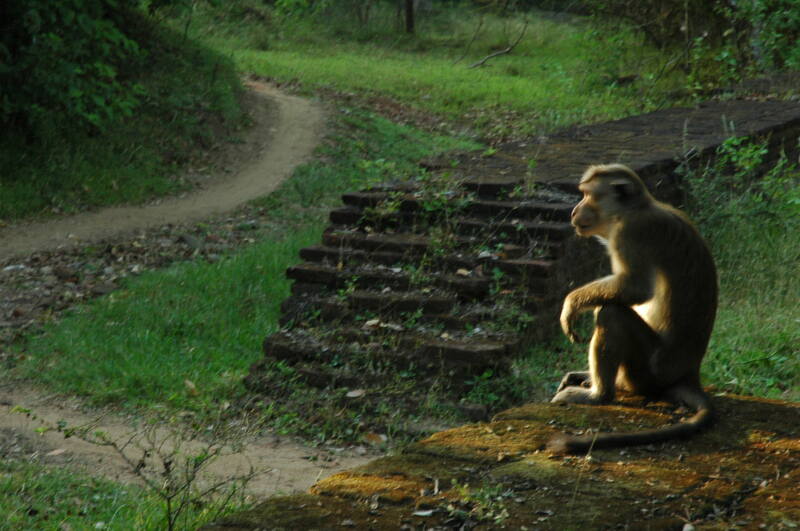 Hey thanks – I’ve checked it out and have been clicking through the cartoons, very entertaining! There’s quite a who’s who of good cartoonists on there… honoured by your suggestion!